RULES – ARE FOUND IN THE STUDENT HANDBOOK. IF YOU DO NOT HAVE ONE, GENERALLY EMAILED WHEN A STUDENT JOINS THE DOJO, CHECK WITH HANSHI. Dues should be paid the first week of each month. If you have a problem, let Hanshi know. There are no promotion fees, but we ask that you pay for each obi (belt). Respect will be shown to all karate-ka at all times. Respect is to be shown to all ranks. Kyu ranks should not question Dan ranks, or ones higher in rank. If a Kyu rank has a question, and the Dan rank doesn’t know the answer, approach Hanshi or the highest rank on the floor. The head instructor, due to advanced rank, will be called Hanshi and black belts helping to teach are called Sensei. No one is to bow onto or off the floor without being acknowledged by Hanshi or the highest rank on the floor. A respectful bow will be given whenever entering and exiting the workout area. A serious attitude should be maintained during workouts. Never correct the technique of a senior student (If in doubt, ask). If a Dan rank wants to do something in class, all students must at least try, unless they have a physical issue where they can’t. When you step onto the Dojo floor, you’re there to train. Everything should be done to the best of your ability. Everyone should at least make an effort to attend Advanced Classes, Seminars, Tournaments, Camps, unless it’s not possible due to work, sickness, etc. Advanced Teens and Adults may ask Hanshi to help children’s classes to assist learning and enthusiasm. These efforts are very important to the growth of each Karateka and the dojo. Formal and group warm-ups will begin all classes. Empty-hand kata material should not be added on unless first approved by Hanshi. Kumite or sparring will be practiced under the supervision of black belts only. Weapons katas are only to be taught by Hanshi, unless he instructs someone to teach material to another student. Kyu ranks are forbidden to conduct demonstrations or teach privately without consent from their sensei. Black belts should clear activities prior to the session as well. Adults must join the IWKA after attaining their Yellow Belts & prior to earning their Green Belts. This organization is headed by the son of the founder of the style and sets standards for promotion. 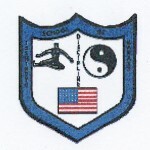 Students may join Hanshi Duessel’s Affiliation after this time. Children may join the IWKA as well. It is recommended that all students buy protective hand, foot and head gear. These are available from Hanshi at his cost. Shoes are not to be worn on the workout floor. Sneakers and socks should be worn to the dojo during summer months so we can train outside the dojo safely. Note: If you are not able to attend the dojo, it is your responsibility to call to let us know. If you do this, you may make up the class. If you do not call, you forfeit the privilege to make the class session up. The power of choice is one of the greatest gifts we are given. Although we make many choices every hour of the day, we rarely make neutral choices. Each choice has a positive or negative consequence for us at some level. Our attitude toward life is the most important choice we make! Let’s look at why such a simple choice— embracing a positive or negative attitude—is more challenging than it appears for many people. Just think of the last time you were in deep thought about your plans for the evening while driving home from work. As you pull into your driveway you wonder to yourself, “How did I get home?” The car seemed to practically drive itself. Driving is a relatively complex task, requiring many choices along the way—turn right, turn left, slow down, stop, change lanes. Still, driving home can be successfully performed almost subconsciously. So, consider the multitude of much smaller choices we make each day that we don’t really think about: waking up, brushing our teeth, saying “good morning” to a colleague, eating our lunch, performing a repetitive job duty, and so on. Subconscious actions are useful most of the time, but we must also consciously choose our attitude to control our results. Our ability to choose is a gift, but it is also a huge responsibility. No matter what today’s “it’s not my fault” culture encourages, we are all ultimately responsible for our own choices. In fact, we like to write the word responsibility as response–ability. As humans, we have the unique ability to respond. Here’s a scenario repeated daily. Family dinners are important at the Smith house. Jim and Jane Smith and their two children (John, age three, and Janie, age four) just sat down at the table. Before the first bite of dinner is enjoyed, John spills his milk and it goes everywhere. On the other hand, when you respond to a situation, you make a constructive and conscious decision. That’s why there are emergency response teams, not emergency reaction teams. When you respond, your brain is fully engaged and your self-awareness is high. You have the long-term consequences in mind. We all experience negative situations and people. Choosing to respond instead of react helps positively orchestrate our attitudes—and our lives.